The Cook County Sheriff's Department is launching a new effort to help inmates at the Cook County Jail dealing with mental illness. 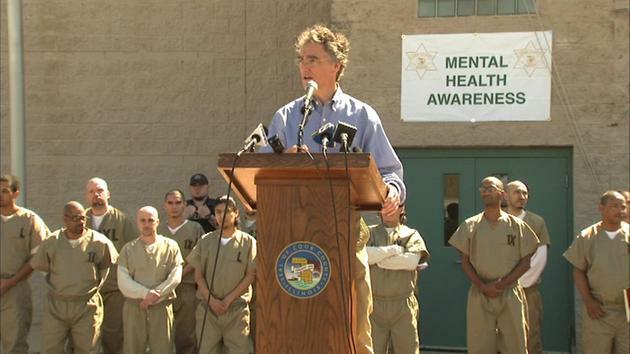 Sheriff Tom Dart made the announcement during a rally Friday to mark the start of Mental Health Awareness Month. A new clinic located at the Markham Courthouse will treat people sent there by court order or people who are leaving the sheriff's custody. This is in addition to the sheriff's mental health transition center. One man says thanks to the facility he can dream again. "It's a unique chemistry, as intricate as it may be, it comes together for a purpose," said Pierre Gibson. "I am here to show you that these efforts are not in vain." Dart says the clinic is a response to government cuts, many of them impacting people with mental illness.